Karur town is a well known industrial centre and was a capital of early Chera Kings of Sangam age as said before. This city is famous for to cottage and handloom textiles too. Pasupatheeswarar Temple is the land mark of the Karur City. Group of sculptures representing Pasupatheeswarar Lingam, milk oozing cow and a Rangamatha are adding more attraction to the temple. 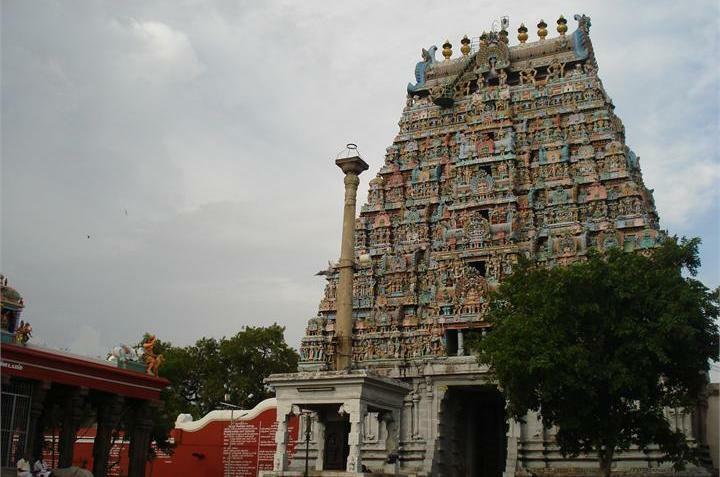 A temple dedicated to Sri Mariamman is located in the heart of the city of Karur is famous one. All groups of people irrespective of caste, creed participated in Kumbum Festival celebrated during the month of the May every year. The sacred water is brought by every devotees from the river Amaravathi to this famous temple to worship is one of the glorious event. This is located 5 km away from Karur and have a temple dedicated to Lord Kalyana Venkataramana samy as a raised portion of a hillock. This temple is also known as Then Thirupathi (South Thirupathi). 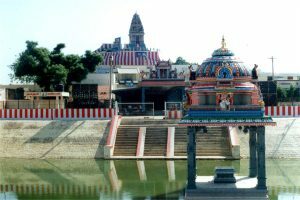 This place is famous for the temple dedicated to Lord Murugan located on the Karur – Salem road with a distance of 5 km from the Karur. The Hindu exponents like Arunagirinathar and Avaiyar Sang their Hymns to praise this Lord. Nerur Arulmigu Sadhasiva Brahmendra Temple, is situated 12 km away from Karur. This Temple is One of the notable place in Karur District. It is located at Old Dindigul Road, Jawahar Bajar, Karur. The museum was opened to the public in 2000. The specimen include bronze items, metal-ware objects, musical instruments, coins, rocks and minerals, fossils, botanical specimens, molluscan shells and other marine specimens. The educational activities of the Museum includes Guide services, popular lectures, etc. A temple dedicated to Lord Subramania on a small hill at Velayuthampalayam near Pugalur is famous for its sculptures. 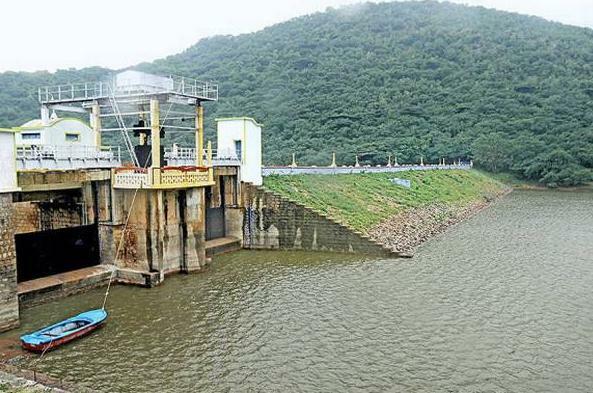 This is situated in the North West of Karur on the banks of river Cauvery. This temple is situated in the Kulithalai town, dedicated to Lord Kadambaneswarar. Thaipoosam is a Festival celebrated every year in a grand manner during the Tamil Month of Thai (January) here. Ayyermalai is situated 8 km from Kulithalai in Karur District. There is a temple dedicated to ArulmiguRathinagreeswarar . Every year Bramotchavam Festival of 15 days Chithirai Festival, Thaipoosam Festival, Karthigai Festival, Panguni Uthiram Festival and Teppam Festival are celebrated here in grand manner. Arulmigu Agatheeswarar temple is situated and being here under the control of HR&CE department. The river Cauvery, Amaravathi and Manimuthharu are confluence in this place. Thus, the place is named after Thirumukoodal. This temple was built by Rajendra Chola-I of Chola Dynasty. People believed that Agathiya Munivar worshipped the Lord Shiva in this temple. This is a picnic spot of Karur. 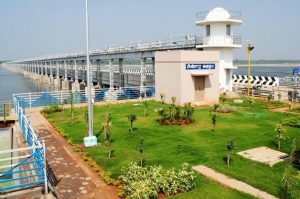 Mayanur Barrage is one of the famous tourist attractions in Karur District, It is 23 Km from Karur District and 21 Km from Kulithalai which is situated in the bank of the River Cauvery. Sellandiyamman Temple is one of the main attractions of this village and a most sacred pilgrimage site for Hindus of its surrounded villages. The goddess in this temple is called as Sellandiamman. 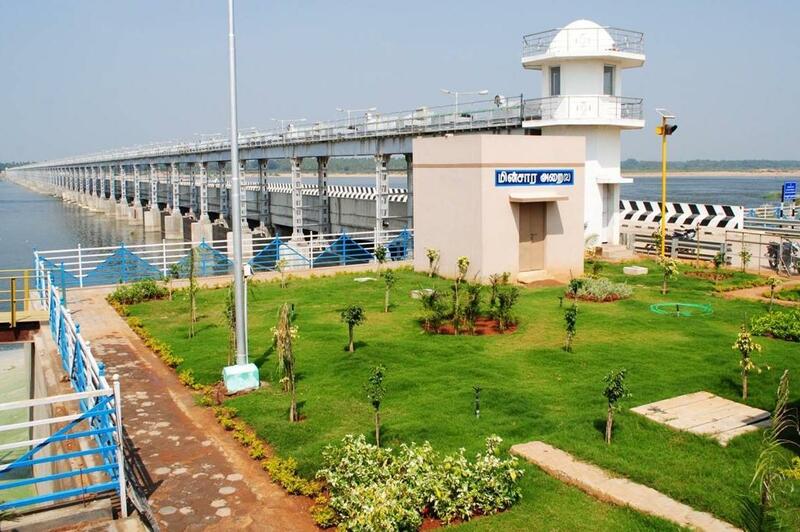 It is 23 Km from Karur District and 21 Km from Kulithalai which is situated in the bank of the River Cauvery. 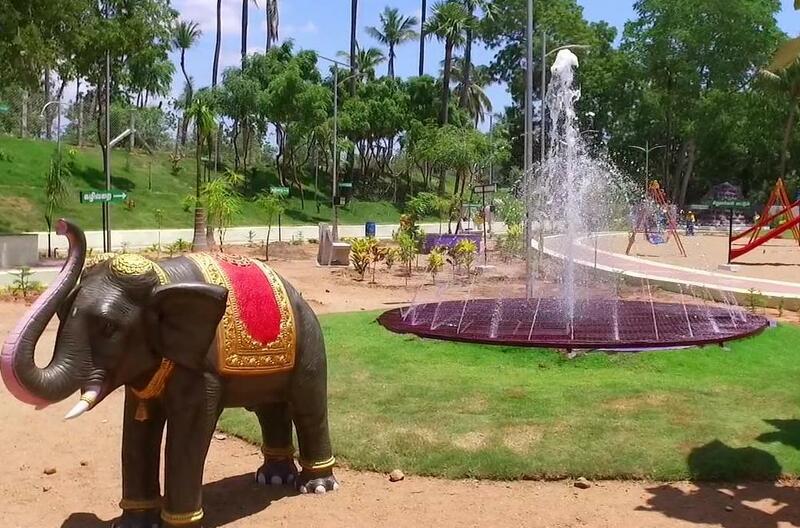 Thirukkampuliyur Amma Park is one of the people likes tourist attractions in Karur District, It is 23 Km from Karur District and 21 Km from Kulithalai which is situated near the bank of the River Cauvery.